One of the most respected underground musicians from Germany returns with more of his nature-themed, medieval style Black Metal bound to pagan roots and tribalism in another remarkable album. 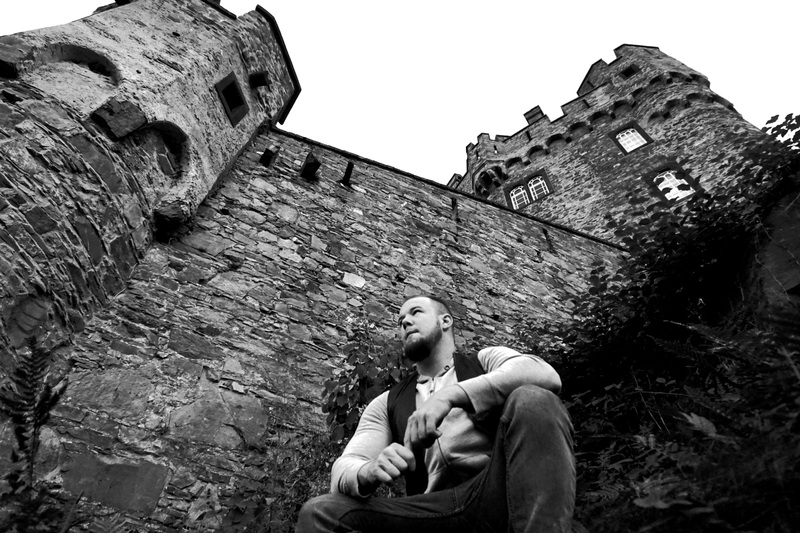 Since its creation in 2002 by German multi-instrumentalist Niklas “Nerrath”, Teutonic one-man army Horn has aimed at creating nature-themed, medieval style Black Metal bound to pagan roots, focusing on the relation of man and nature in a regional context. And this excellent project, hailing from Paderborn, a city in eastern North Rhine-Westphalia, Germany, has been extremely successful in its journey, delivering high-end extreme music always with a meaningful concept behind it and always singing in its mother tongue German. Now, in the beginning of 2017, we have Horn’s seventh studio album, the folk, dynamic opus Turm Am Hang. Inspired by the classic German folk song “Es ist ein Schnitter”, from the 17th century, as well as lansquenets (a gambling game of German origin), wars of the past, tribalism and the spirit of masculinity, Turm Am Hang will stimulate your most primeval senses with its distinctive ambience and powerful music. Furthermore, the artwork, layout and visual concept, all brought forth by German illustrator Timon Kokott, perfectly visualize the album’s combined musical and lyrical themes, complementing the already thrilling experience of listening to the music crafted by Nerrath. After a pleasant folk intro in the opening track, titled Alles in einem Schnitt (which would translate as “everything in one cut”), Nerrath offers us his thrilling Black Metal with Folk and Pagan Metal elements, all sung in German as aforementioned to make things even more aggressive, not to mention the uniqueness of his tribal and stylish guitar lines. 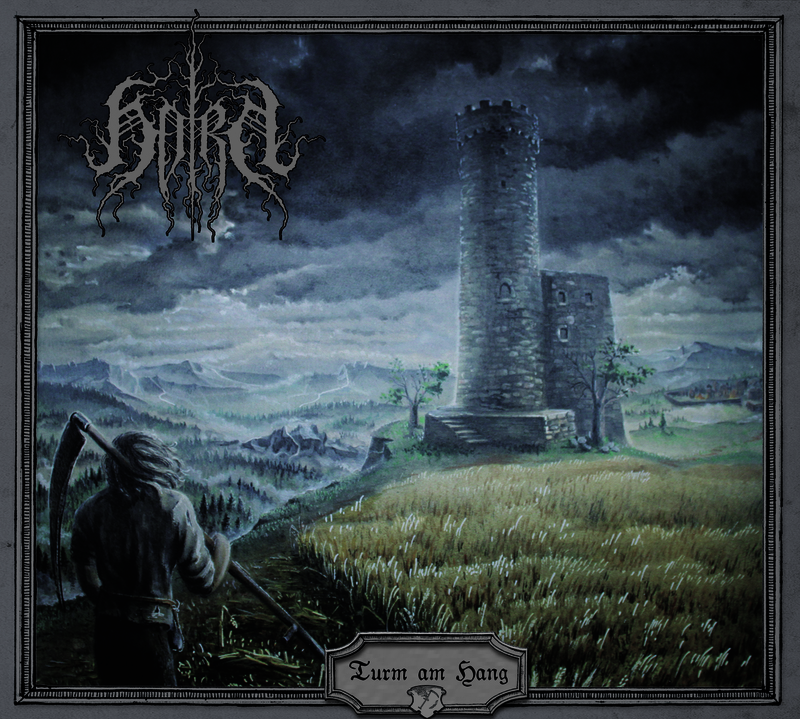 The title-track Turm am Hang (“tower on slope”) also begins in a serene way, again exploding into what can be called Blackened Folk Metal, with Nerrath blasting his enraged growls, potent beats and blazing, rhythmic riffs; followed by Verhallend in Landstrichen (“ranging in landscapes”), with the folk elements in the background adding a lot of epicness to the musicality together with its menacing drums. Furthermore, simply close your eyes and you will be able to feel all the energy flowing from the folkloristic sounds generated by Nerrath in this brilliant composition. A song with an impactful name like Die mit dem Bogen auf dem Kreuz (“the one with the bow on the cross”) couldn’t sound less amazing than this, with its somber intro being gradually joined by guitars until all becomes an Extreme Metal extravaganza, perfect for drinking a few pints of beer together with your friends. Ä(h)renschnitter (“spices”) kicks off at full speed, with Nerrath going berserk with his fast-paced beats and riffs while powerfully vociferating the song’s lyrics at the same time. Moreover, hints of old school German Punk Rock are a very welcome addition to the overall musicality, enhancing the song’s effectiveness. And in Totenräumer (“Mortimer”), a fantastic fast-paced creation by Nerrath, our one-man army is startling on vocals, giving life to the song’s epic lyrics. Leaning towards sheer Pagan Metal, it never slows down, keeping the listener fully entertained from start to finish. The eerie instrumental Lanz und Spieß (“lance and spear”) works as an intro for Bastion, im Seegang tauber Fels (“bastion, in the sea of deaf rock”), a voyage through the realms of experimental and atmospheric extreme music, bringing forward elements of Black and Pagan Metal with an obscure rhythm. Ad lastly, as a “bonus” Nerrath offers the listener his excellent version for The Sky Has Not Always Been This Way, a melancholic and introspective journey of ambient music by American Ambient Black Metal band When Bitter Spring Sleeps, from their 2013 album Coven of the Wolves. Not only this is the only song in English in the album, but it also features guest vocals by American Lord Sardonyx, the mastermind behind When Bitter Spring Sleeps himself. In order to enjoy everything Nerrath and his amazing project Horn have to offer, simply follow his steps on Facebook, and go to Horn’s BandCamp page or Big Cartel to grab your copy of Turm am Hang. As mentioned before, the experience of listening to an album by Horn is beyond unique, connecting you to the pagan and tribal origins of man and embraced all the time by superior metal music. As this is always the main goal of ambient and experimental extreme music, I must say Turm am Hang triumphs brilliantly hands down. Best moments of the album: Alles in einem Schnitt, Verhallend in Landstrichen and Totenräumer. Worst moments of the album: Bastion, im Seegang tauber Fels. This entry was posted in 2017 New Releases and tagged alles in einem schnitt, ambient black metal, black metal, blackened folk metal, es ist ein schnitter, folk metal, germany, horn, iron bonehead, lord sardonyx, nerrath, niklas, north rhine-westphalia, northern silence productions, paderborn, pagan metal, punk rock, the sky has not always been this way, timon kokott, turm am hang, verhallend in landstrichen, when bitter spring sleeps by Gustavo Scuderi. Bookmark the permalink.